Humans are a great choice of race for a new player to Illyriad as they are the most rounded of races, and therefore allow you to try many different strategies until you find one that best suits your play style. They often feature a strong cavalry and can adapt to almost any situation. More info about Humans in Illyriad. Dwarves are master craftsmen, and their understanding of metallurgy and forging allows them to train excellent heavy shock infantry well suited to attacking on a wide variety of terrain, as well as siege weaponry unrivalled by any other race in Illyriad. However, their reliance on heavy armour reduces their mobility, and any dwarf wishing to fight a war would be well advised to do so near home. More info about Dwarves in Illyriad. Elves are a common race in Illyriad. They tend to make excellent archers, and one of the most notable features is their speed with cavalry. Elves can be subtle diplomats, with quick scout and spy units, which may not be the most effective but are certainly the speediest. The same is true with elven thieves-they don't carry as much but can make quick escapes. More info about Elves in Illyriad. 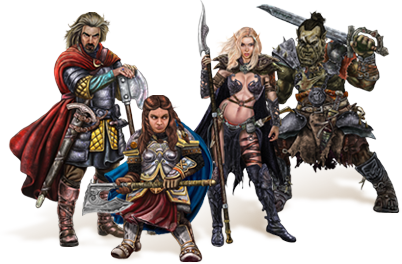 Orcs see themselves as the rightful ruling race in Illyriad, but will deal with the other races quite happily – so long as it is to their advantage to do so. Orc cities can often have the the best defences in the Kingdom, so woe betide any player who underestimates their abilities! Fierce, strong and brave in numbers, Orcs excel in waging an aggressive playstyle. More info about Orcs in Illyriad.